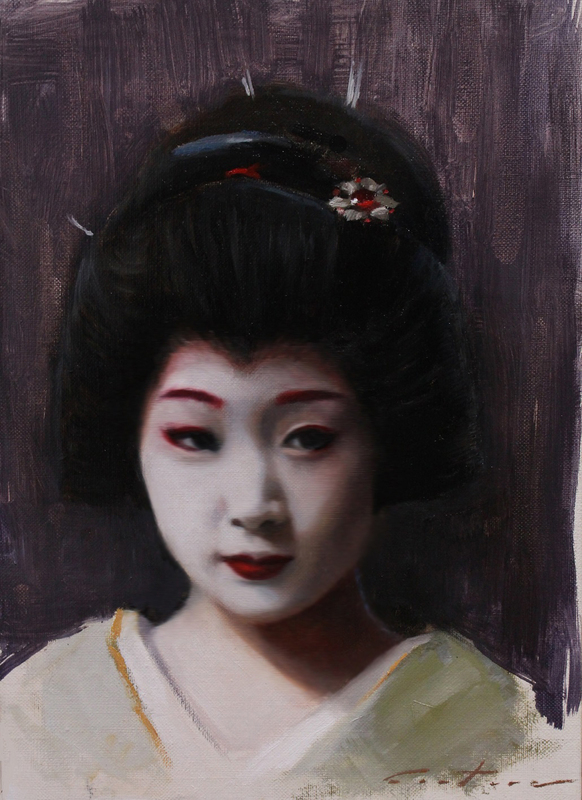 This is a painting of Katsutomo, a maiko or apprentice geisha from the Gion Kobu district of Kyoto, Japan. 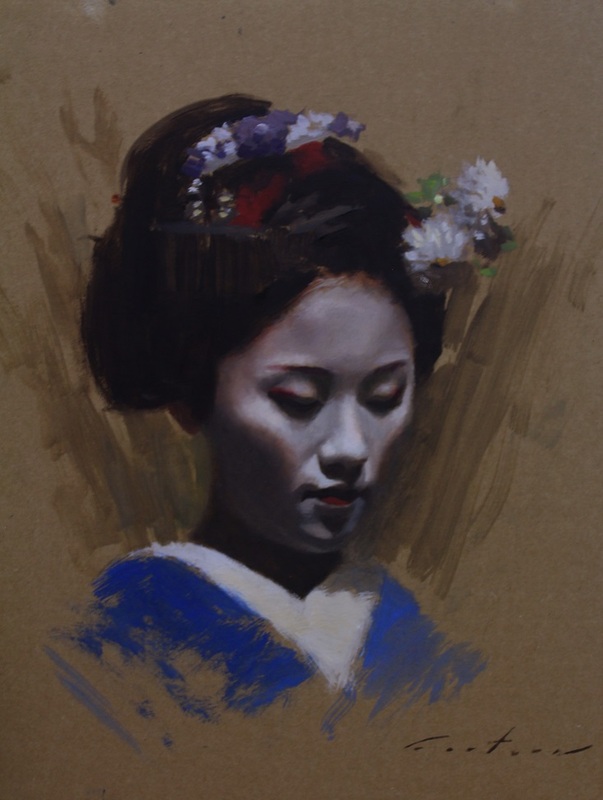 Inspired by Henri Toulouse Lautrec's cardboard paintings, I painted it on cardboard and sprayed it with a protective sealant to prevent the board from warping or deteriorating. This is from a major sumo tournament held in Osaka, Japan in April 2013. 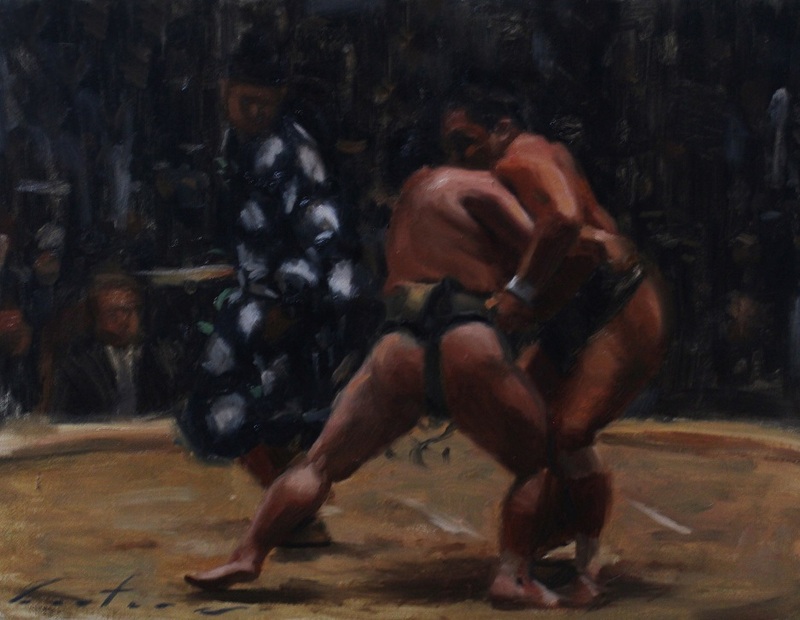 I really enjoyed painting the expressive action of the wrestlers and the tension of the scene. 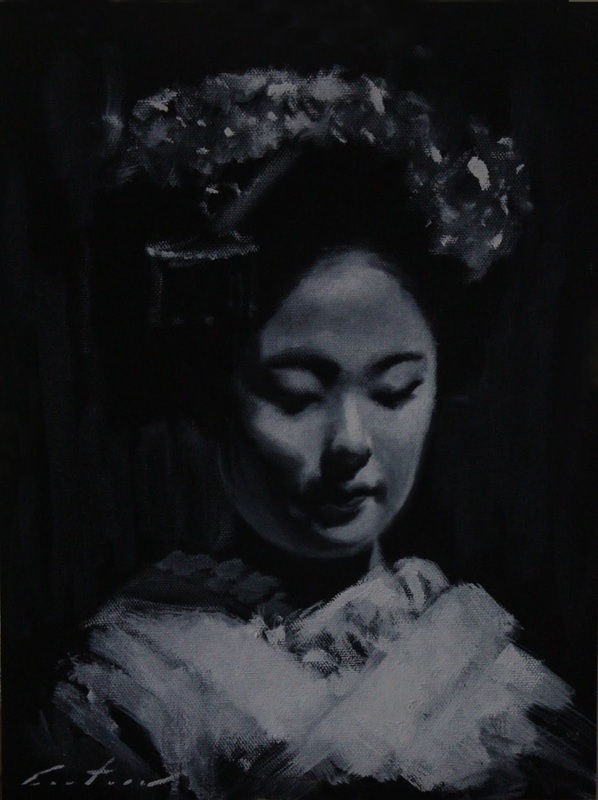 I accidentally ordered black canvas paper instead of the traditional white, so I tried to utilize it by painting a tonal portrait using only white paint. 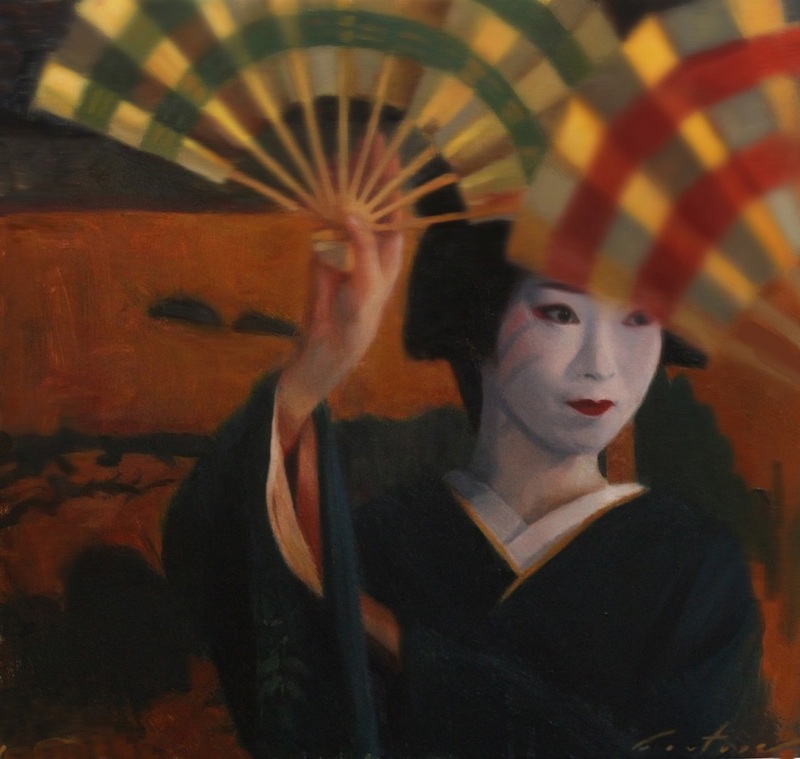 I've drawn Katsuhina before and I thought I would try doing a portrait of her in paint. 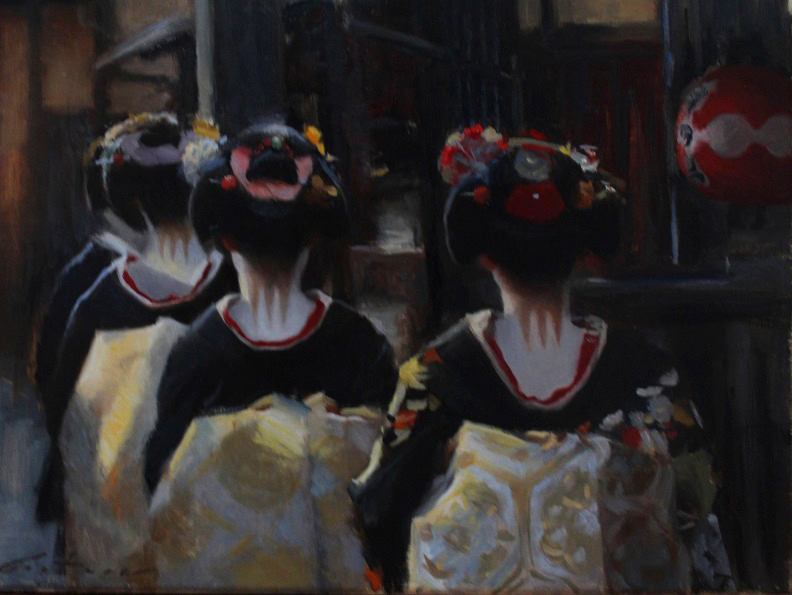 Geisha art and geisha oil paintings by Phil Couture. 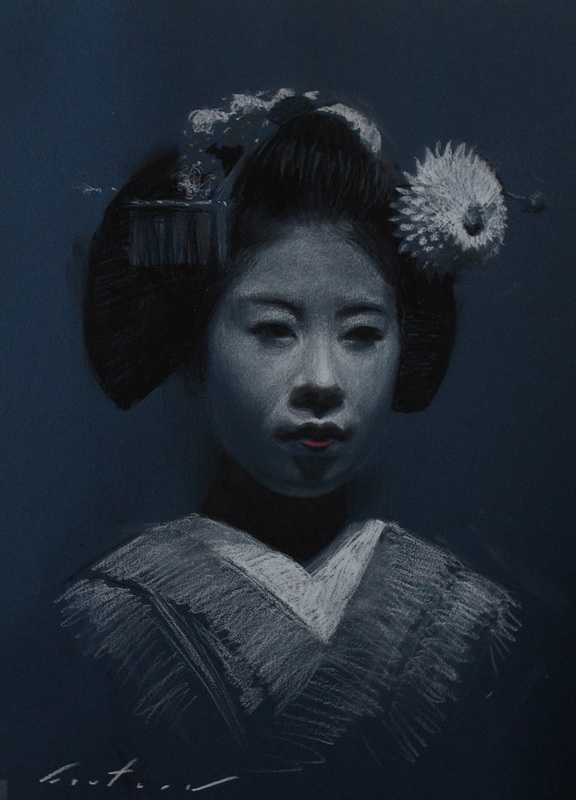 Japanese artwork in oil paint and charcoal.